Connect your inventory LIVE to your website! Interactively control all aspects of your inventory with ease. User access and accountability gives your entire staff the functions they need to complete their daily tasks effortlessly. 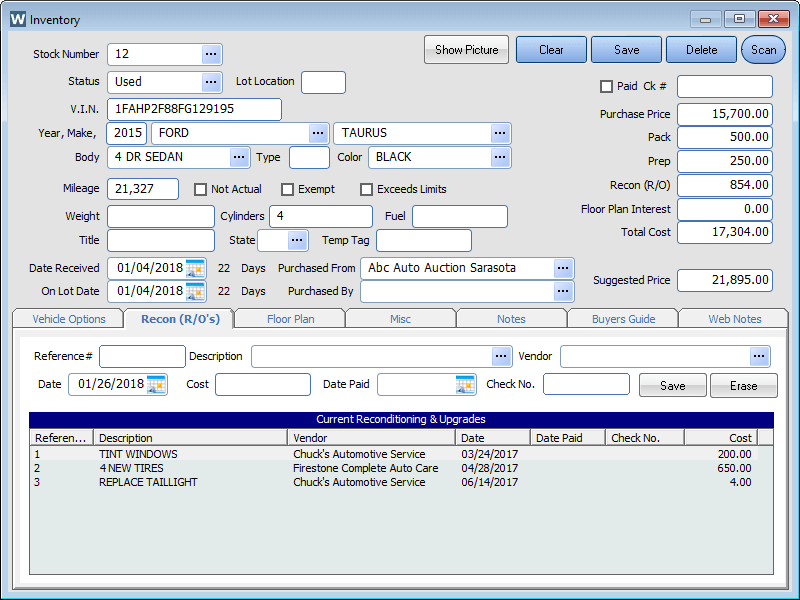 Tracking additional cost associated with your inventory has been made simple and fast! 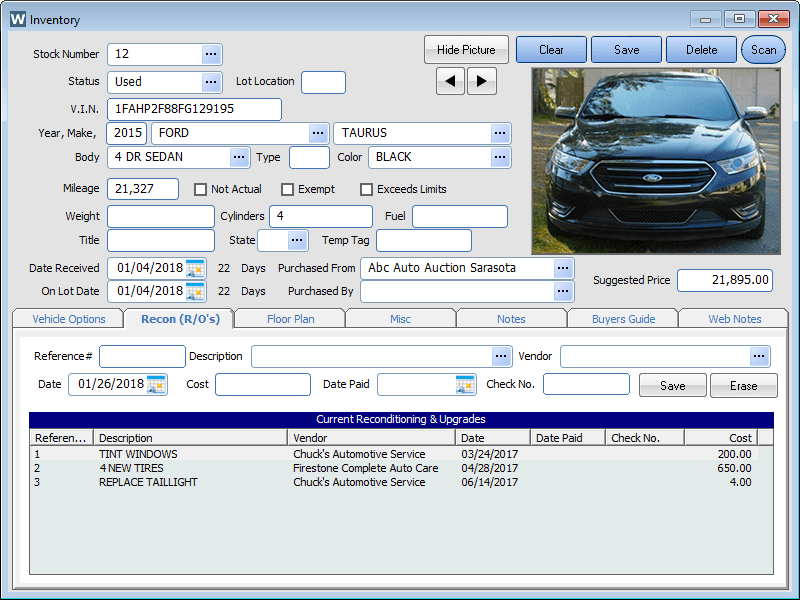 Create lookup list to eliminate data entry time and track expenses to vendors. Get breakdown information on payables and analyze where your expenses are going. 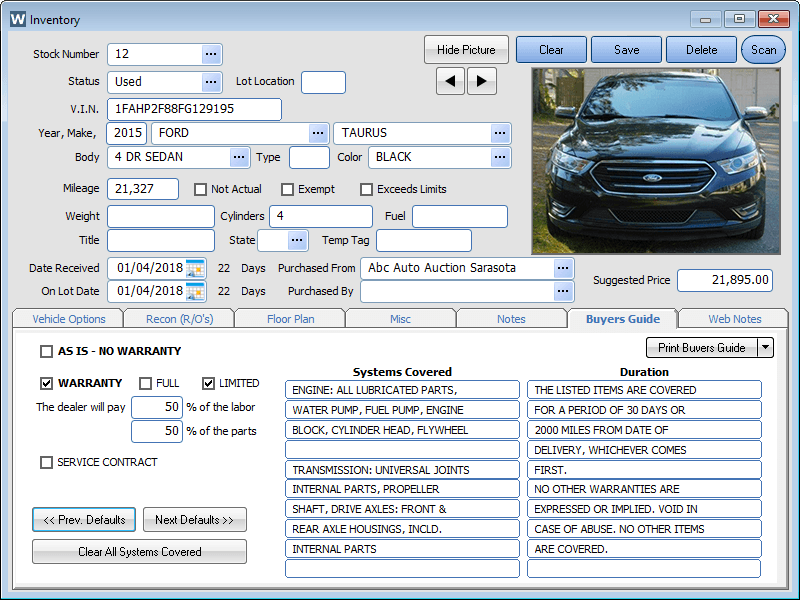 See the information quickly and accurately with our Tab sections. Search for inventory by the VIN and more! Why pay to have your window stickers printed when InterActive DMS is all you need! Print Buyers Guides both in English and Spanish. Custom designed window stickers to give your dealership that distinctive edge. With InterActive you take the pictures and let InterActive DMS automatically resize and store the photo. 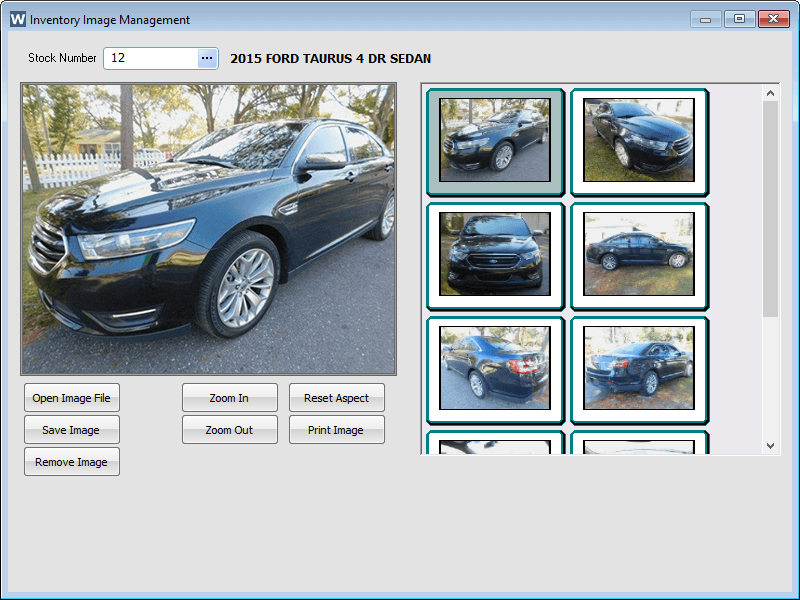 Use the photos for your website and internal sales. No limit on the number of photos you can add. Let us help you with your internet presence and assist you by increasing your sales today.